After a long career in the aviation industry, the last B727 in commercial service has retired. Operating for Iran Aseman Airlines, the aircraft was manufactured almost 39 years ago in April 1980. This flight marked the end of the B727 program which made it’s first flight 56 years ago. Unlike the failed tri-jet B747, the B727 was the most widely sold jet when production was halted in 1984. When production of the jet was wrapped up, 1,831 jets had been built by American aerospace giant Boeing. The B727 was well known for its rear stairs. These were used to give access to the aircraft while on the ground. On November 24th 1971 a B727 was hijacked between Portland and Seattle. After extorting a ransom of $200,000 the suspect, known by his alias of Dan Cooper, is said to have parachuted out of the rear exit. This wasn’t the only B727 hijacking to use this escape method. However, following this particular incident, modifications were undertaken to stop the airstairs being lowered during flight. These were called Cooper Vanes after Dan Cooper. 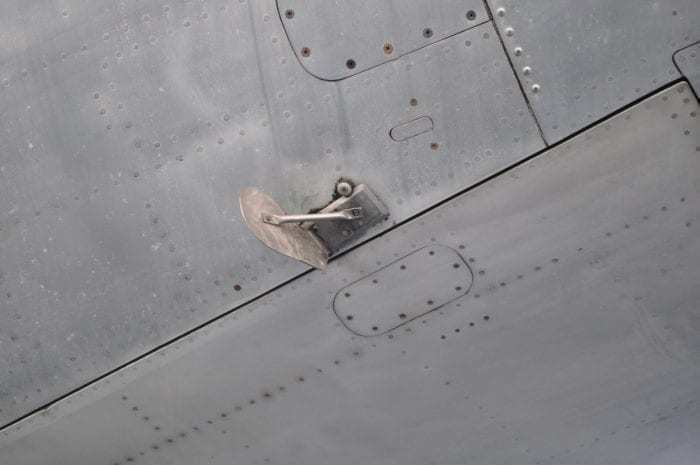 The Cooper Vane was installed on B727s to stop the airstairs opening during flight. The final B727 passenger flight was operated by Iran Aseman Airlines. The flight operated from Zahedan to Mehrabad International Airport in Tehran. The domestic flight lasted for around 2 hours on Sunday 13th of January. The news comes at a time when many airlines such as British Airways and Hawaiian Airlines are retiring their B767s. The B767 is only as old as the B727 which was retired last week. Despite there being no more scheduled B727 passenger services, the aircraft could still be seen here and there. A few freight and charter operators still operate the aircraft here and there. It’s quite common for aircraft to be converted to freighters when they are retired from service. However, due to the age of the B727, this particular aircraft will likely be taken to a scrap yard. Is 39 Years Old For An Aircraft? Quite simply, for a passenger aircraft, 39 years is quite old. KLM recently retired the world’s oldest operating B747 which was 30 years old. Passenger aircraft are usually retired by major operators after around 20-25 years in service. This is certainly the case with British Airways and their plans to retire the B747 from the fleet. After this, passenger aircraft can be converted to freighters. 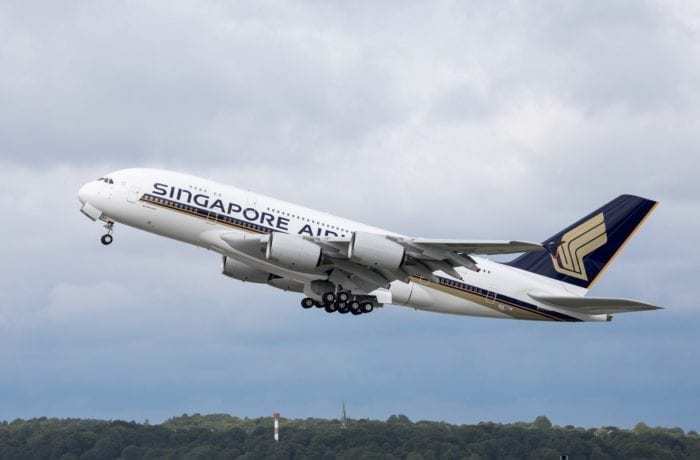 Singapore Airlines has already retired their first A380. Photo: Airbus. However, some aircraft aren’t so lucky. Earlier this month, Simple Flying reported that the first A380s were already being sent to be scrapped. After 11 years in service with Singapore Airlines, the A380 was retired and sent to an Aviation Graveyard. This is despite the aircraft being designed with the life span of 25 years in mind. Did you fly on a B727? Share your B727 stories with us in the comments down below! 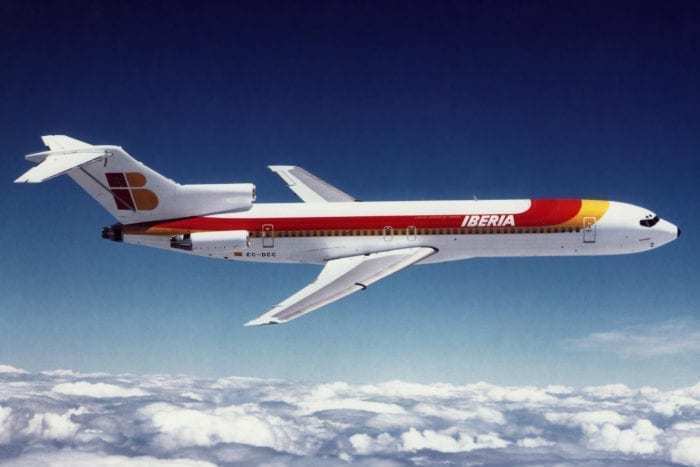 Very good memories I have regarding B727…. my first flight, on honeymoon, was on a flight CGH-REC onboard B727, 20 years later working in Aviation, we had my favorite aircraft operating PTY-MIA-PTY, everyday early morning at MIA ramp waiting to block-in the B72F Advanced, registration HP1310, Panamanian flag, named as “El Gato”. Also had an opportunity to fly from LPB to VVI on Lloyd Aereo Boliviano’s B727, named “Juan Pablo II” because the Pope, visiting Bolivia flew domestic using this aircraft. Very good memories ! Now my favorite is B787….. Well, within 2 weeks I will fly, for the first time, the TAP’s CS-TUA, the first A330neo, GRU-LIS, I look forward to try it !!! Thanks for sharing this Ricardo! Hope you enjoy your flight on the A330neo! I’d love to know what you think of that aircraft! I worked for Boeing in Renton, Washington after USAF service in 1974. The 707, 727, and 737 were on the line in addition to AWACS (707/KC-135 variant). I was hired by Piedmont Airlines in 1985 and flew the 727-200 there in 1985 and 1986. Always wondered if any of the aircraft on the line when I worked at Boeing were those I may have flown at Piedmont. I only flew the “three-holer” for about 1,000 hours but have very fond memories of that fine aircraft. By the way, I retired from American Airlines in 2017. My first plane ride ever was when I was 13 in 1965 in a 727. The flight was a delivery flight to Eastern Airlines in Miami from Boeing field in Seattle. My father was an engineer at Boeing on the 727 program……I still remember the near vertical take off of that near empty plane. Nothing like being thrown back in a seat for the first time upon rotation. My first flight ever was in 1983 on a PanAm 727 from Los Angeles to Houston. Then immediately on another 727 from Houston to Miami. My best memory of the 727 was years later in 1988 when I was 17. I boarded a PanAm 727 in Frankfurt, West Germany. After boarding, we were stuck for about 2 hours due to rain. I wandered onto the flight deck and started talking with the crew. They were very friendly and showed me what the various switches and knobs were and took a picture of me in the captain’s seat (I still have that picture). When we were finally ready to go, they let me start the number 3 engine. It was great experience for a teenager. You just read what my son Eric wrote. On that flight he was next to the window and I in the middle. Feeling the thrust on takeoff from LAX was unforgettable. My first plane ride was an American 727-200 in around 1990 between MIA-LGA. I was quite an excited kid! It was an exciting flight for a 15 years old boy to take off with B727 from Istanbul to Frankfurt of Condor flight during 1972 summer. At that years the cockpit door was open most of the flight and it was amazing to be allowed to look in a room of secrets.